Avocado trees can be grown from the pit of an avocado fruit. But a seed-grown avocado tree may take up to 15 years to mature and bear fruit. Because of this, many gardeners prefer to purchase grafted avocados trees from a nursery. 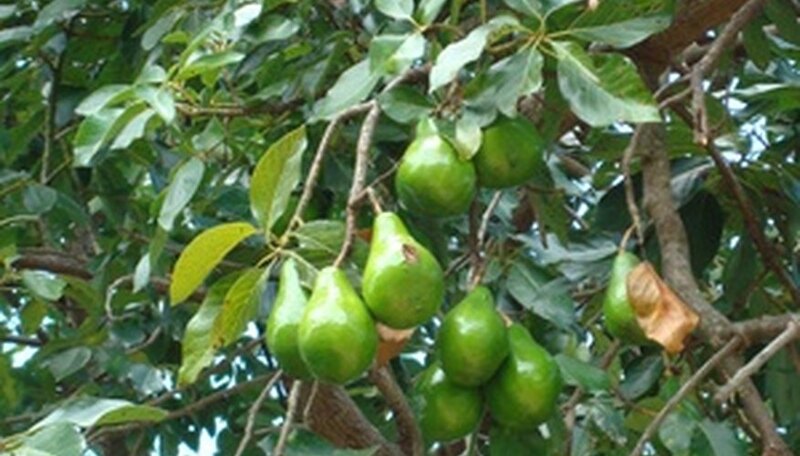 Grafted avocados will bear fruit much faster than trees grown from seeds. Avocado trees are tropical, and should be grown in containers in USDA hardiness zone 9 or warmer. Locate a nursery that carries avocado trees. Many nurseries in USDA hardiness zone 8 or cooler will not carry avocado trees because the tree is not hearty to their region. If you plan to grow avocado trees in containers in these zones, you must buy avocado trees by mail. Determine which variety of avocado tree you want to purchase. All avocado trees grow in full sun and well-drained soil, so the taste of fruit will be your primary determining factor for which avocado tree you prefer. The most popular tree is the Hass avocado, because the fruit has a mild, nutty taste. Examine avocado trees before purchasing them if possible. If you purchase avocado trees by mail, examine them when the tree is shipped to you to make sure that the tree is not damaged. Signs of damage include insect scars; jagged pruning marks; scratches on the trunk; cracked bark near the point where branches emerge; broken limbs; limbs that grow toward the tree; limbs that rub one another; and limbs that cross into the canopy of the tree. Unwrap the root ball of the plant and look beneath the burlap to make sure that the roots are well developed. Examine the base of the trunk to ensure that there are not any hidden scars or bug marks. Pick a leaf off of the canopy and look at it to make sure that it is not discolored. Leaf discoloration is often a sign of disease or a declining plant. Leaves burned at the tip or yellow around the margins often signals water stress in avocado plants.